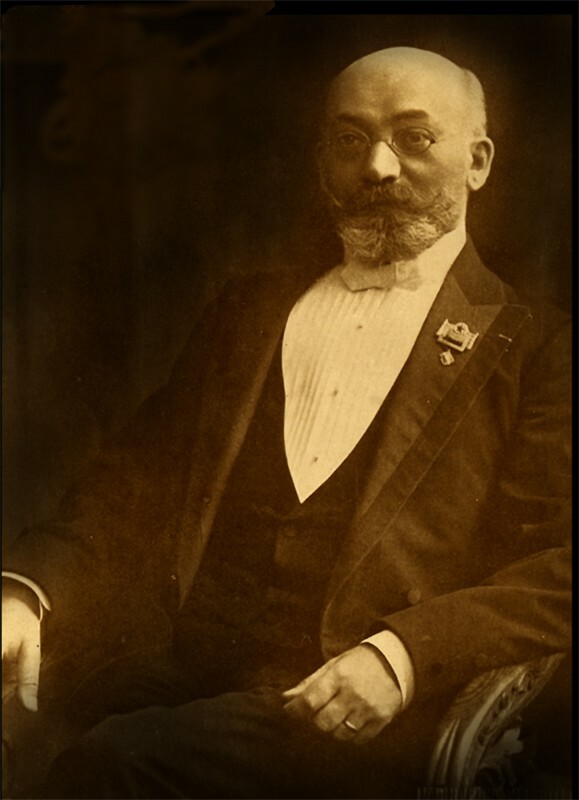 Ludwik Zamenhof, exactly Eliezer Lewi Samenhof (15.12.1859 – 14.04.1917) was born in a Jewish family in Bialystok which was then a part of Russian Empire, on Zielona Street 6 (now Zamenhofa street). His parents were Markus and Rozalia (maiden name Sofer). He was their first child and later had ten siblings. He spent his childhood in multicultural community of Bialystok, which contained mainly of Jews, Poles, Russians and Germans. Every day he was listening to the people who were talking in many different languages and couldn’t understand each other. When he was ten he wrote a drama “The Babel Tower, it means Bialystok tragedy in five acts”. He thought that the main cause of misunderstanding and disputes between people was a language barrier, so one common language would be a solution of this problem. 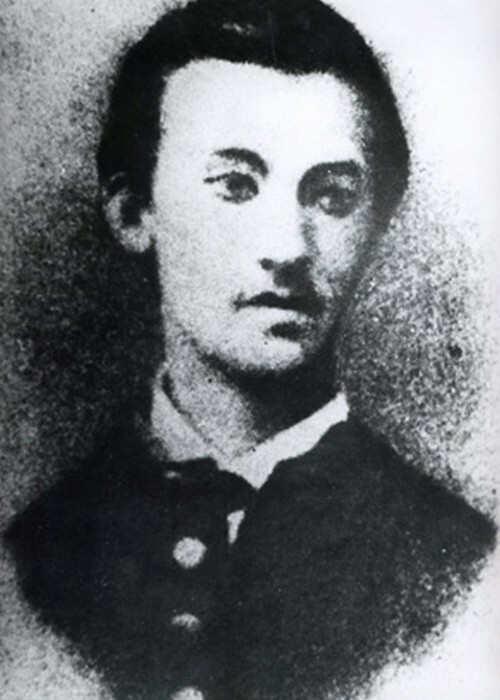 From 1869 to 1873 he was attending to Bialystok Gimnasium “Realne” on Aleksandrowska street. In 1873 his parents took a decision to move out from Bialystok to Warsaw, probably he never came back to this city. 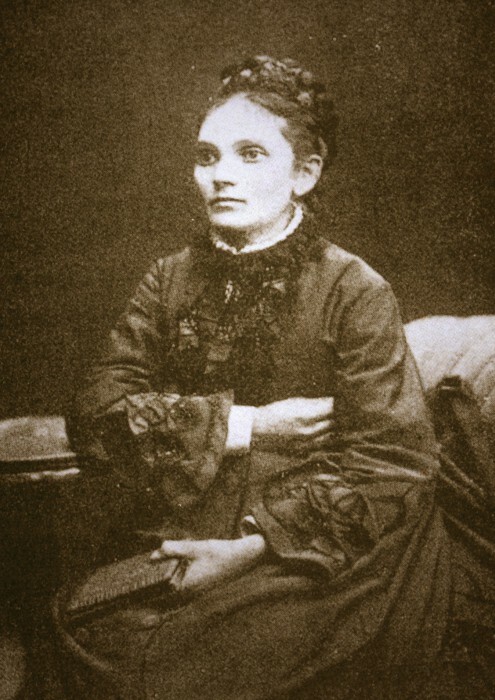 From 1877 to 1881 he was studying a medicine in Moscow, after increasing anti-Semitism he came back to Warsaw and there he was continuing his study, he chose ophthalmology as his specialisation. Before studying medicine as a Gimnasium student he created first version of his own language “La universala lingvo” (1878). It contained dictionary and grammar. In 1885 he finished his work on improved version of international language – Esperanto which is spoken today. On 26th May 1887, after two years of seeking a publisher, his work was published. It was entitled “International language. Preface and complete textbook”. It appeared under his pen name Doktoro Esperanto – which means “a doctor who has a hope”. In the near future this word was a synonym of this artificial language. He could publish it thanks to financial support of his future father in law – Aleksander Silbernik, father of Klara Silbernik. One year later Ludwik Zamenhof published his second work “Dua libro de L’lingvo internacia.” After very short time Esperanto was more and more popular on the world, people noticed its usefulness and simplicity. First Esperanto clubs appeared (the first one was in Nuremberg). In 1905 in French town Boulogne-Sur-Mer took place first World Esperanto Congress, the second one was in Geneva in Switzerland a year later. Among the many works which Zamenhof translated into Esperanto is the Hebrew Bible or Old Testament. 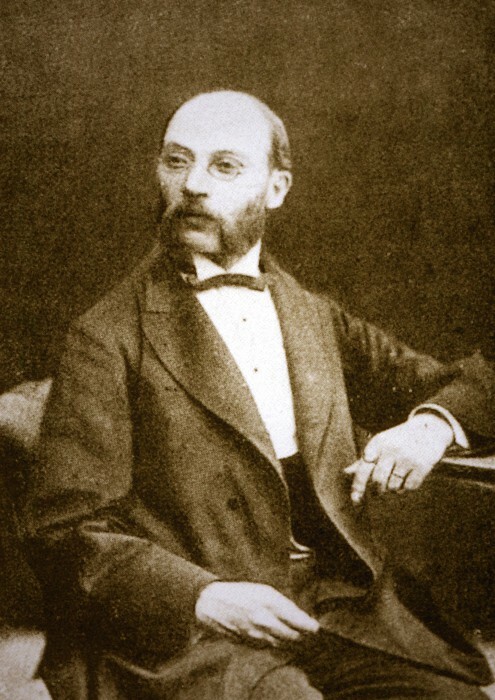 Zamenhof had to join his language interests with his job as an oculist, and he moved places very often, he carried on his medical practice in Plock, Grodno, Cherson in Russia. Zamenhof and his wife Klara raised three children: a son, Adam, and two daughters, Sofia and Lidia. Zamenhof died in Warsaw on April 14, 1917, and is buried in the Okopowa Street Jewish Cemetery in that city.